I'm a big fan of barbecue. Whether it's the smell of brisket, slurping savoury sauces, or the finger-friendly madness, I'm in. And cornbread. Delightful, delicious cornbread. 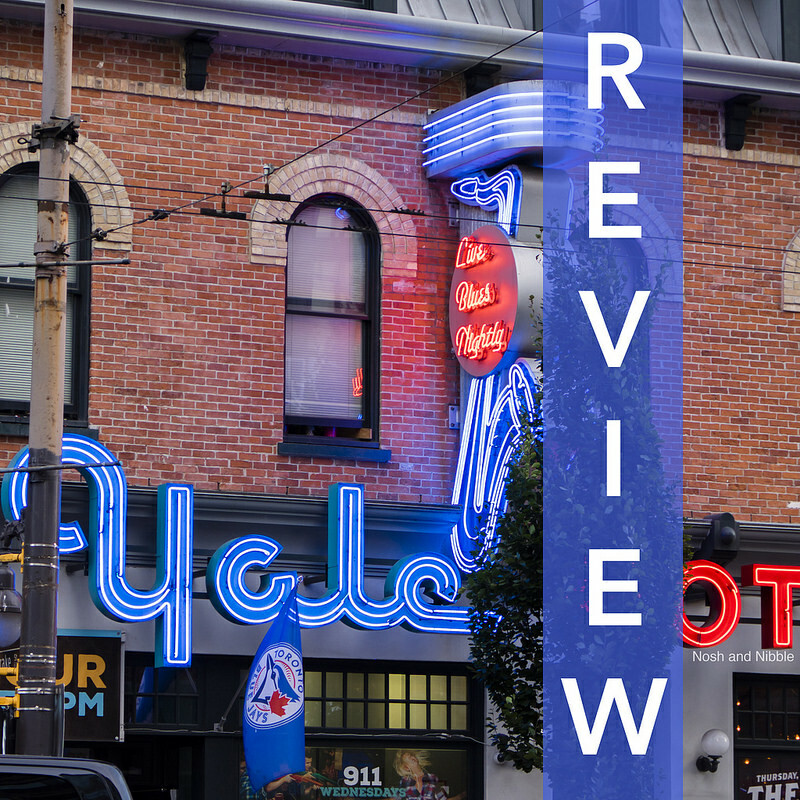 Having barbecue options downtown seems pretty essential to a night out, so it's almost fitting that The Yale Saloon is the only place in Downtown Vancouver that provides both blues and barbecue. All the non-dessert items came served on a family-style platter to share between two people. The closest approximation of this platter would be the backyard BBQ platter which runs for $35/person (minimum 4 people). The brisket was a lean and featured the signature line of seasoned fat every brisket lover seeks. Because of its leaner texture, I could drown the brisket in the house barbecue sauce and chomp in. Similarly, the pork ribs were seasoned all over and had a great pull when going in for a bite. Another mention for the barbecue sauce though. This house-made sauce had bits of tang, spice, salt, and savoury in every squeeze which is essential my enjoyment of BBQ. Of the turkey breast and rotisserie chicken, both were serviceable white meats but I'm personally biased for red meats when it comes to barbecue. The good thing about these two meats were the seasoned skins but the turkey breast was as breasty as they come (i.e. on the drier side – I prescribe a lot of barbecue sauce). Onto the sides, the jalapeño cornbread deserves a mention. I find Memphis Blues' cornbread to be gritty enough that it dries out my tongue without a lot of better. The Yale Saloon's cornbread was packed with flavour and moist enough to go down my throat. Thumbs up. The coleslaw and potato salad were solid refreshing sides to round out the platter. In particular the potato salad had a pleasant citrus/dill finish in each bite. This helped clear my palate for further barbecue bites. Overall for the barbecue, I think this would be great for people who expect to drink their way onto the eventual dance floor and not be in a barbecue coma before the music starts. And for dessert, we had the house chango. this was a Mexican-inspired banana cheesecake wrapped in a cinnamon-dusted, fried tortilla shell and served with vanilla ice cream. While the ice cream wasn't a gamechanger, it fulfilled its purpose of melting into the banana cheesecake in its crispy cinnamon shell. All this for $9 and I think this is one of the more interesting desserts you can get at a bar. I'm comparing this to a Donnelly Group restaurant where most of them stick with traditional brownies and chocolate cakes. The Yale Saloon takes up residence at the corner of Granville at Drake Street and features an iconic neon saxophone sign outside. You've likely bussed by it on nights out on Granville. If you're inside the Yale Saloon you'll also find a mechanical bull and ample space for dancing. There are two bars to serve your drinks and booth-wise there's seating for around 100 guests. The vibe is definitely old country with lots of leather seats, long wooden beams, and homey strung lights. Service on this visit to Yale Saloon was good. Our server came to check up on us and left us a large bottle of water for us to pour out ourselves. It wasn't terribly busy at 6pm on a Friday (it must get crazier later) so it was easy to flag down our server when we needed something. I can report that the washrooms were pretty spick and span at this hour. I reckon you could come in with any size group on a Friday and get seated if you're here before 9pm.